"After years of silence at the music front with his former band The Sins Of Thy Beloved, Stig felt a kind of deprivation of music." 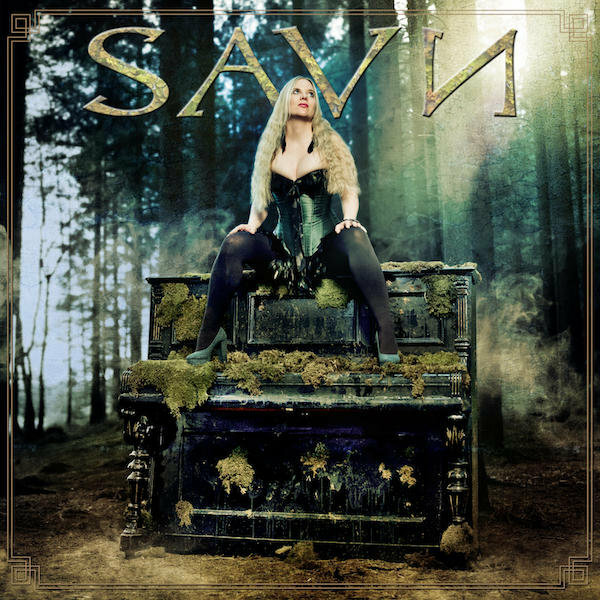 A few weeks ago, we discovered via Leaves' Eyes Facebook page, the very promising trailer of the first album from a new norvegian gothic metal band with a folk accent : SAVN. On the occasion of the release of this self-titled album, we had the opportunity to interview Carmen Espenaes, singer and main songwriter for the band. Even though the interview was made by email, Carmen seemed charming and full of enthusiasm for this new musical project. Interview done by email by Sabrina, the 13th of may, 2014. Sabrina: At the beginning, you were supposed to sing only one song on this album and you ended up being an official member of the band and writing all the lyrics? How did that happen? 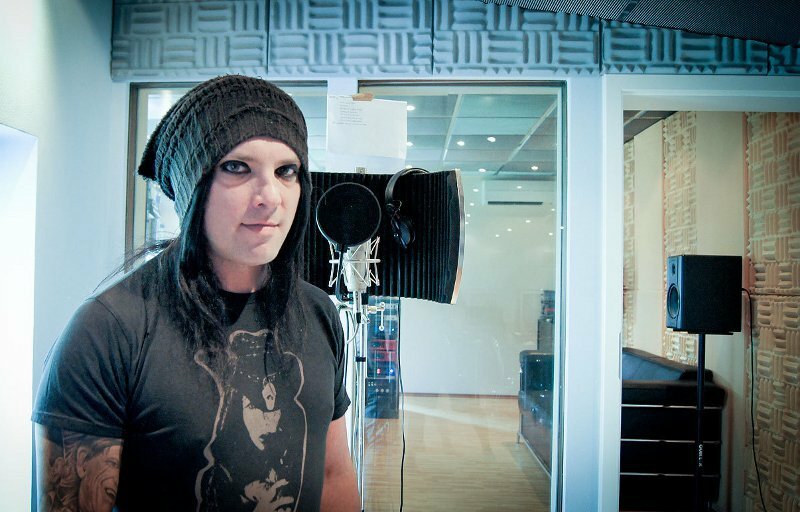 Carmen: That's right, Stig called me and wanted me to contribute on one of their songs that they were going to record in studio as a demo. 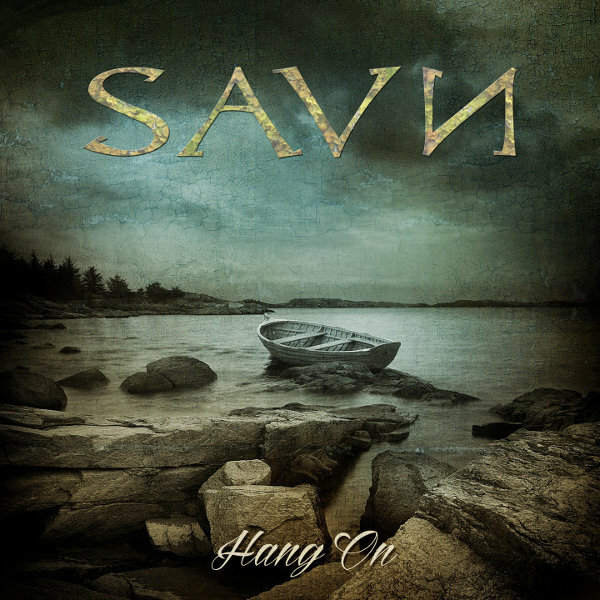 Stig showed me the first songs of SAVN, and I just loved what I heard! I was about to give birth to my daughter at that time, but as soon as I came home from the hospital, I wrote the refrain and a couple of weeks later I recorded it in studio. I was super nervous, because I didn't know if they liked my melody or the way of singing it, but they were speechless and just looked at each other. When I heard the result in the car, I almost cried for happiness, I couldn't believe that without meeting each other up front, we went in the studio and made a great song together. Stig and Anders asked me after a while if I would like to sing on more songs, because we worked so well together and had lots of fun. Step by step it got clear that it would be best if I would be a permanent member of the band. That was the beginning of a new musical journey for me, which has been amazing so far. 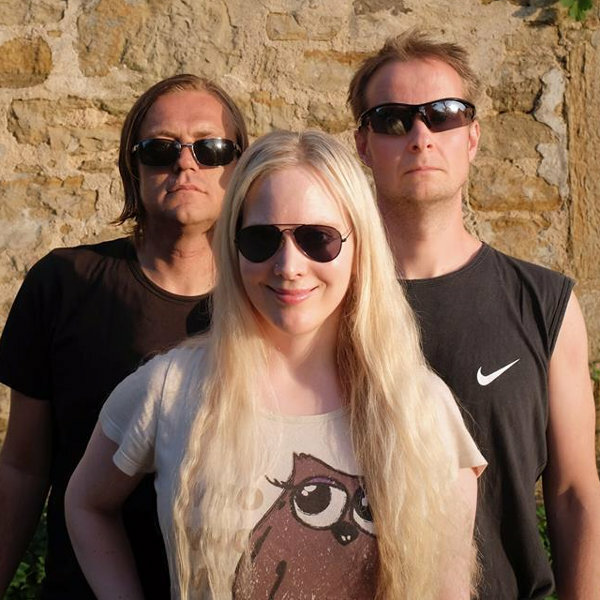 On the band's biography, it is said that "SAVN" is norwegian for "deprivation". I found another translation for it that is "desire". Can you tell me the real meaning of this word and why it was chosen to be the name of this band? This album features a lot of guests. I can imagine how you came to work with your sister but why did you chose this particular song to work with her? Liv and I had already talked about it that it would be cool if she would sing on this album, because she had never sung on one of my records before. In the middle of the song writing process when we were rewriting "I Am Free", I came up with the refrain, but the funny thing was that inside my head I heard kind of two voices singing together, like an interplay. Then I realized that it had to be Liv's voice. She really liked the song and wanted to sing on it. I wasn't there when she recorded it, and when I heard the result I couldn't believe my ears : she sang it 100% how I had imagined it, only much better! Our voices fit so well together and it had this special power. She did a fantastic job, which we're very grateful for. Speaking of your sister, this record seems to be a "friends and family" album. Your sister sings on it, your brother in law produced it and Stig Johansen is a long time friend. Was it important for you to work that way? Did it have an impact on your decision to become an official member of this new band? Interesting question, but in fact it wasn't something I thought about before I said yes to work with SAVN. It wasn't planned from the beginning that we were going to involve my family either, so it didn't have an impact on my decision. Still, it's of course fantastic to be able to share something so special like music and singing with your own family and friends; you feel safe and always have a lot of fun. In this place I want to thank the whole Mastersound crew for everything! This album also features Michelle Darkness from "End Of Green", how did you come to work with him? 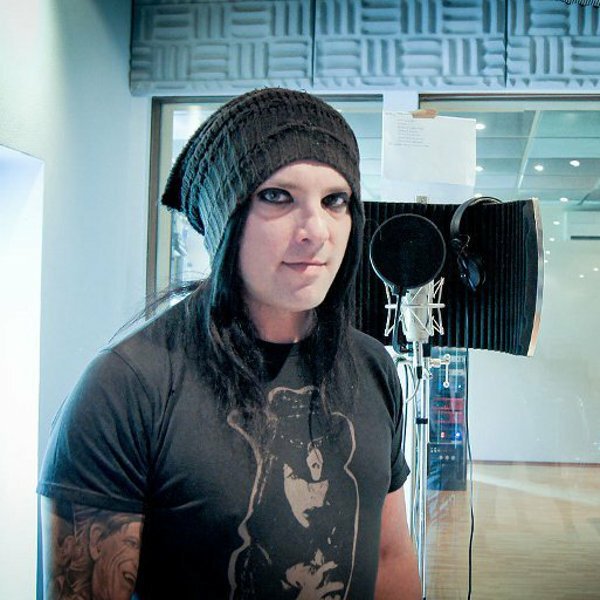 When I listened to the growling version of "The Demons In Me", it came to my mind that it would be great to have another version with clean male vocals as well. I am a big fan of End of Green, and then we thought about Michelle, his voice is so emotional and melancholic and would fit so well to the atmosphere of the song. Fortunately, Alex (Krull) knows him quite well and contacted him, and it was such an honor for us that he actually said yes! The result was so beautiful, this song was just meant for him, and I got goosebumps the first time I heard the duet in the end of the song. Stig Johansen and Anders Thue were known in "The Sins Of Thy Beloved" for their very gothic/metal sound. You can hear that in SAVN but you can also definitely hear a prominent folk element that brings beautiful and catchy melodies to the songs. Were you the one that brought this element when you joined the band or was it planned from the beginning? Yes, I guess I was the one bringing the folk elements into the music ;) I like Norwegian folk songs, and I found it so awesome to among others be able to have a Hardanger fiddle on the record. All the three of us brought our different influences into the songs though, and we inspired each other to create something unique that we had never created before. It has never been so easy writing songs, it was this special flow over us, and we felt very creative. We all identify 100% with the music and are so satisfied with the songs. Hope you like it as well, and that our new songs can give you something special! On all Midnattsol albums, there is always at least one song in norwegian. On this album there is the beautiful song "Lengselens Hand" (Sorry I don't have the special "a" on my keyboard). Is it important for you to be able to sing in your mother tongue on every album? Good observation, you're totally right about that! ;) I really like singing in my mother tongue, what I sing feels even more close to me and I enjoy the process of writing in another language. Still, it's not a must for me on every album, it has to come naturally and fit to the atmosphere of the music, that's the most important thing. And why did you chose this particular song to sing in norwegian? It felt very natural to sing in Norwegian in "Lengselens Hånd", I just started singing with Norwegian words. 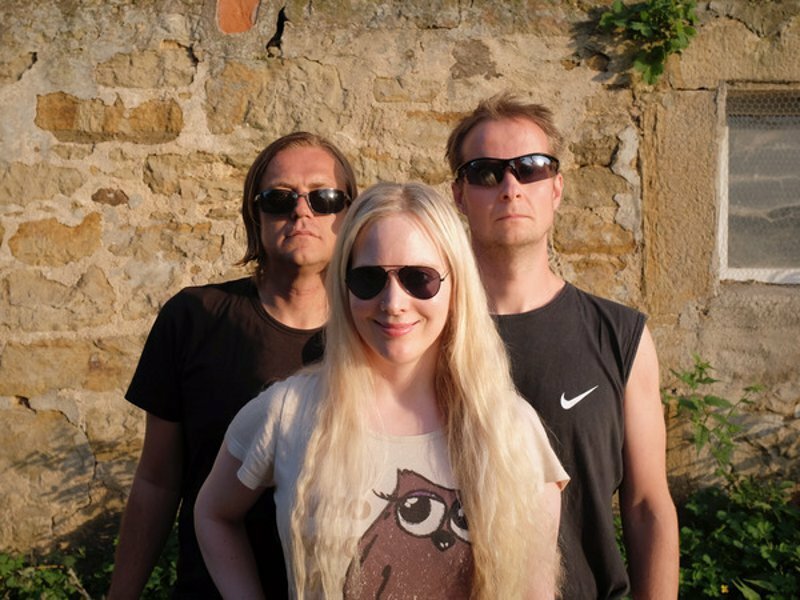 Very often it happens on songs with this Nordic folk feeling, and that was the case here as well. It's one of the most emotional songs I've ever written, it's dedicated to my beloved grandmother who I never got the chance to meet unfortunately, and I've written it through the eyes of my mother. Sadly, Stig has experienced loosing quite a few people in his life, so I had his sorrow in mind as well writing it. When people who don't understand Norwegian tell me that it's the most beautiful song on the album and that they get touched by it, it hits me that music can be really magical. Even if some songs have a more positive message like "I am free" and "Now or never", the lyrics seem mostly dark and melancholic. What were your inspirations when you wrote them? You shot a video clip for Hang On. Can you tell me more about it? Was it shot in Norway? And what's the meaning behind the video and the song itself? Yes, it was filmed in my hometown Stavanger in Norway (Stig and Anders grew up right outside Stavanger). A little place in Stavanger called Hundvåg has a beautiful mystic forest with the name Trollskogen ("The forests of trolls") with a view on the sea, and this was the perfect location to film the story behind ‘Hang On’. The story treats an emotional theme : To be without hope and to see no end of your struggles. A girl (played so wonderfully by Susanne Dahle) who has gone through some horrible experiences tries to escape from her thoughts, but doesn’t know where to go. She finds an old wooden boat and sails at the sea without oars and without any direction. Then she just gives up... What happens next? That is to be seen in the music video…;) The key message of the song goes out to everyone who struggles: Hang on, there is always a way! The main focus of our first videoclip was to make it as real as possible, without many effects and to deliver the fans the story in its best way. I didn’t want to be styled up perfectly and try to look as a Barbie girl, we wanted to transform the emotions. I have to admit that it was freezing cold, I've never been so cold in my life. (laughs) ;) A big thanx to Susanne and our producer Leo from Frog Leap Studio, they both did a fantastic job!